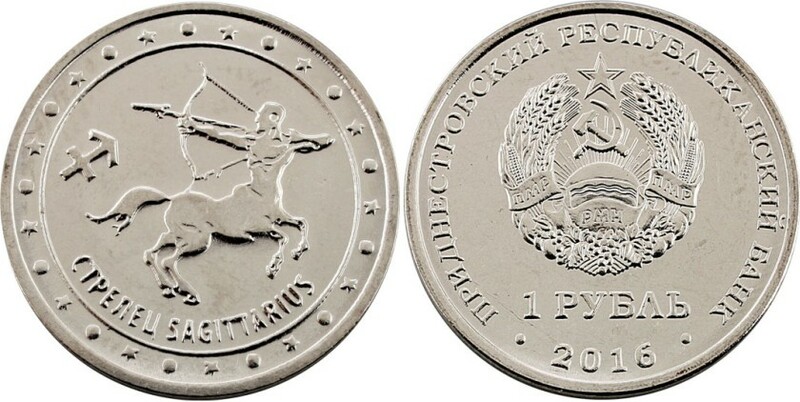 The Transnistria Republican Bank has put into circulation 1 rouble coin "Sagittarius" from The Signs of Zodiac coin series. Coins are issued in circulation from October 20th 2016. The reverse: In the center - a stylized image of the sign "СТРЕЛЕЦ" (Sagittarius) in the lower part of the coin - a circle inscription in the «СТРЕЛЕЦ SAGITTARIUS».